Looking for something to record today, I decided to go back to my youth and my roots. I have mentioned Stompin' Tom Connors before in previous recordings. He was a Canadian, Country Music singer who wrote a large library of music about everyday Canadian folks. Most, although not all, of his tunes took a humorous take on life and this was the case with this song as well. Spuds are an East-coast term that refer to potatoes, which they grow as a main crop on Prince Edward Island. Your will here references to P.E.I. Which is the short way of saying Price Edward Island, and the bright red mud which refers to the red soil of that island which is excellent for growing potatoes. Like so many of Tom's recordings he wrote 'Bud the Spud' after bumping into a semi-driver in Toronto, Ontario in a bar. The driver had just completed ferrying a load of potatoes from P.E.I. And started telling Tom about his work. Connors wrote this tune, roughly based on this man's tales. It's always good to have a few funny songs in your repertoire as it makes a nice break from the serious stuff. 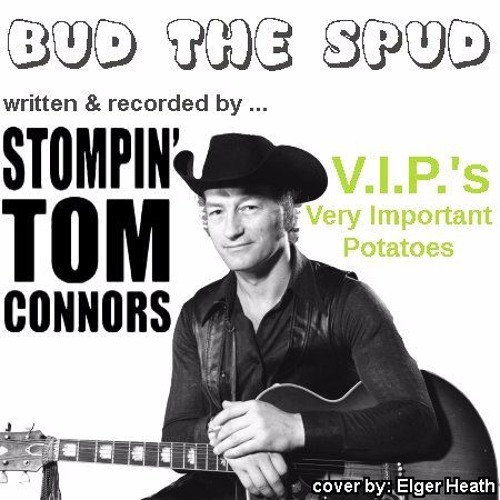 Here is my cover of the Stompin' Tom Connors song, 'Bud The Spud'.